This larger scallop will work with many different dishes, from “Angles on horseback” to many pasta dishes. 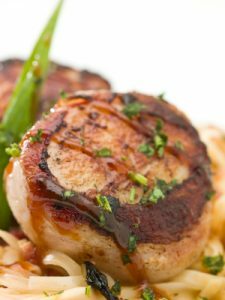 The largest commercially available scallops, sea scallops have a sweet, rich taste that ranges from mild to briny. Raw, the drum-shaped meat is a shiny, creamy white, sometimes with pinkish or brown spots. Top-quality scallops should have an ivory translucent and elastic springiness that allows them to keep their shape. Cooked meat is opaque white with a firm, lean texture. 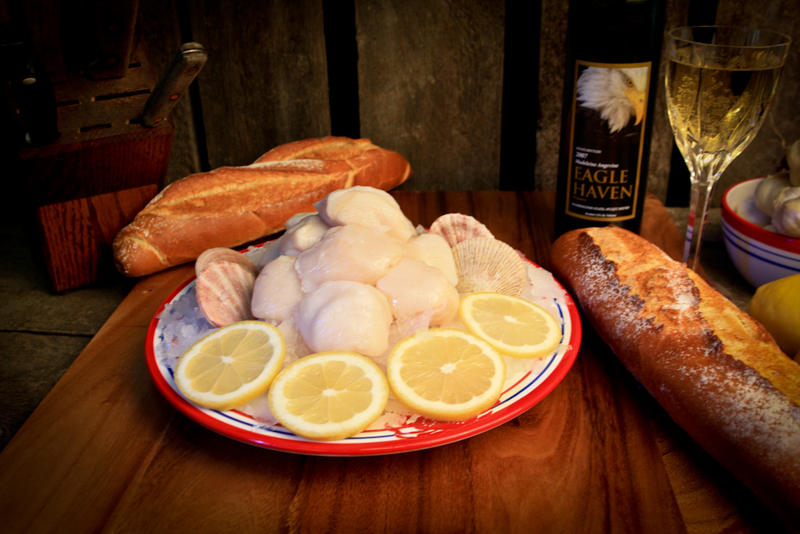 Skagit’s Own Fish Market only carries “dry” scallops. This is important because with the wet scallops you are paying for the extra water they are soaked in.